Self-catering Villa with 2 bedrooms and 1 bathrooms. Sleeps 8. Saturday changeover. 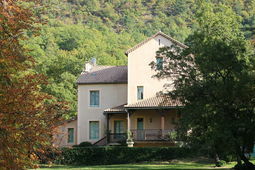 Self-catering Chateau with 1 bedrooms and 1 bathrooms. Sleeps 4. Saturday changeover. Self-catering Villa with 5 bedrooms and 2 bathrooms. Sleeps 12. Saturday changeover. 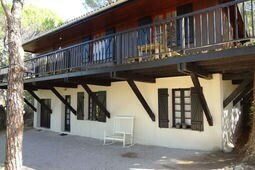 Self-catering Chalet with 3 bedrooms and 1 bathrooms. Sleeps 4. Saturday changeover. Situated in south east France, the Drôme is named after the Drôme river and has a diverse landscape and culture. The Rhône and Aigues rivers also run through the department. The Drôme (department number 26) is located in the region of the Rhône-Alpes and has an estimated population of 437,800 (approximate in 1999). Valence is the capital of the department with the cities of Romans-sur-Isère, Montélimar and Nyons also of interest. The scenery in the Drome is breathtaking and the Tour de France often passes through the quiet roads of the department. The north and the valley areas are sparsely populated with many small hamlets. The scenery and views are stunning although many areas are somewhat isolated. 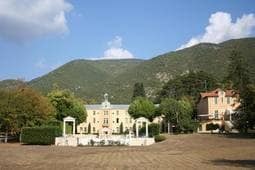 The central area of the Drôme is not as scenic but is more heavily populated and has many interesting villages and towns to visit. The southern Drôme is very similar to Provence and many tourists prefer this area with pretty towns and villages and plenty of history. The town of Die lends its name to the department's finest export, Clairette de Die, a sparkling wine. Valence is a former Roman colony and is a great base for accessing the spectacular gorges of the Ardêche and the dramatic peaks of the Alps. There are many excellent places to tantalise your taste buds and experience some of lovely Rhône Valley wines. One of the most interesting places to visit is the Cathédrale St-Apollinaire at the place de Ormeaux. Built in the Auvergnat-Romanesque style it was consecrated in 1095. Restoration was undertaken the 17th century and the porch and the stone tower were rebuilt in 1861. Another place of interest is the ruined château, dating from the 12th century, which is a pleasant climb up to the top of Mont Crussol. There is also a large shoe museum, which houses a collection of designs from ancient to modern day. Although the area produces metallurgical products, textiles, leather goods, jewelry and munitions the surrounding area is very agricultural and the city serves as a processing centre for the produce. Located on the Isere river between Valence and Lyon, the region is rich in apricots, peaches and walnuts and offers many culinary delights. Probably most famous for its nougat, Montélimar is the second largest town in the Drôme department after Valence. Apart from the nougat there is a magnificent array of tendered lavender fields as well as the patches of wild lavender. The aroma and colour is a spectacular sight along the 'lavender road' between spring and autumn. Whilst there is a wealth of history to be explored, the city is known as the capital of nougat, with nougat being one of the 13 desserts of Provence and highly appreciated throughout France. The city of Montélimar is dominated by Château des Adhémar, a castle built by the Adhémar family who reigned over the city in the middle ages. The site where the city of Montélimar stands today has been inhabited since the Celtic era. It was reconstructed by the Romans who included a basilica, aqueducts and a forum. Having a lovely, sunny climate it is worth visiting all year round. This medieval, fortified town has narrow winding streets and the La Tour Randonne is a listed Romanesque bridge with a 43 metre long arched passage way. 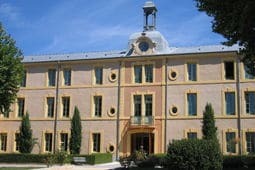 Located in the heart of Provencal Drôme, near Ventoux, between the Rhone and the Alps, this area is known as the Nyons area and benefits from a wonderful climate. Due to the outstanding sunshine all year, the area is known as the Tuscany of the Rhône Alpes. 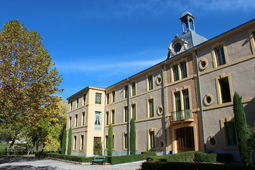 The Nyons area has wonderful facilities for those who love the outdoors and experienced athletes. The 170ft keep in the town of Crest is believed to be the largest medieval building still standing in the world. It has fabulous panoramic views from the terraces and is currently used for housing exhibitions and telling the story of the 'donjon'. For the adventurous it is also used for abseiling down. There are a number of airports servicing the region at Nîmes, Lyons, Grenoble and Marseille. The area is served by the A7, A49, N7 and D538. Travel times are approximately 2h from Paris, 4h from Brussels, 3h from Lille, 1h from Marseilles and 5h from London.